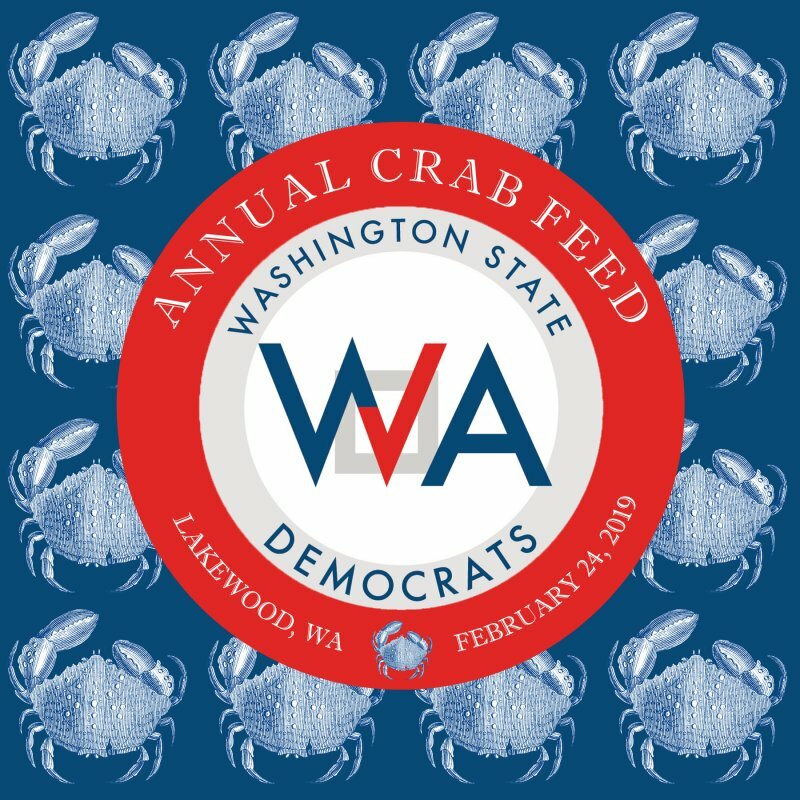 Please join us for the 2019 WSDCC Crab Feed at 4:00pm on Sunday, February 24th at the McGavick Conference Center at Clover Park Technical College in Lakewood. Guests will enjoy a locally-sourced seafood buffet, live music and a speaking program featuring some of our top elected Democrats. Non-Shellfish and Vegetarian options will also be available. Tickets are selling fast, so purchase yours today to make sure we save you a seat! For more information on our Sponsorship Packages, please click here. If you would like to purchase multiple tickets please pay the appropriate amount using the "other" field and specify the names of your guests below. We are pleased to offer training opportunities prior to the Crab Feed - for more information please click here. Elected officials who would like to attend may not purchase tickets using campaign funds, but may use personal or surplus funds.